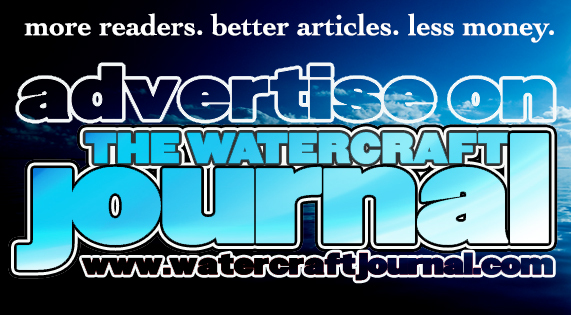 Free Sea-Doo Rides At Lake Norman Powersports | The Watercraft Journal | the best resource for JetSki, WaveRunner, and SeaDoo enthusiasts and most popular Personal WaterCraft site in the world! When Sea-Doo came out with the “Spark Some Fun” demo tour back in 2014, it was the culmination of an almost-annual touring event where Sea-Doo would travel around the country with a trailer full of brand new Sea-Doo watercraft and give anyone and everyone the chance to ride these awesome toys. 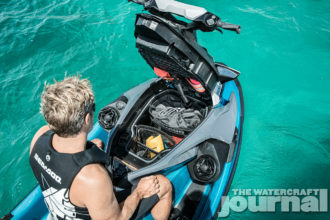 Of course that was the year when Sea-Doo came out with the new Spark watercraft and they wanted to show off what would prove to be a trend-setting type of personal watercraft; a new category all together. Their philosophy was pretty simple such that you give somebody a free taste of something and that person will come back for more. That has definitely proved to be true especially for the Sea-Doo Spark, however after 2014 Sea-Doo as well as every other personal watercraft manufacturer has been absent from the traditional public demo rides scene. 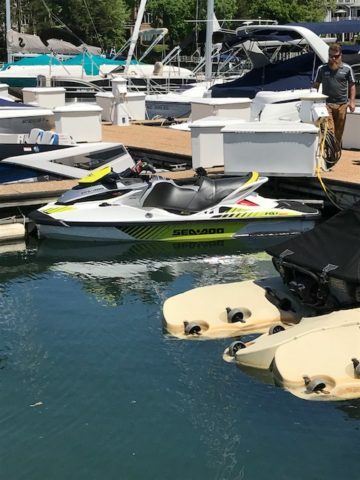 Sure there are occasional special events such as last year’s world finals in Lake Havasu, AZ where Sea-Doo offered test rides to the general public on their new 2018 lineup but nothing on a regular or annual basis. 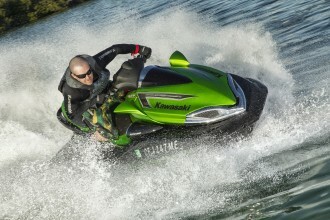 So now that test ride events are few and far between, where can the average Joe go to test out new personal watercraft? 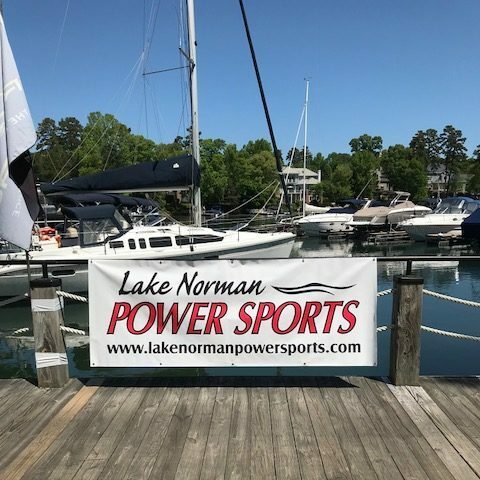 Well for starters, Lake Norman Powersports in the greater Charlotte, NC area offers an annual in-water boat show at beautiful Lake Norman. Located at and sponsored by Peninsula Yacht Club, the venue allows local dealers to show and demo their new boats or personal watercraft. The best part about it is that it’s completely free and open to the public and it is a low-pressure environment much like any widespread factory demo tour. The event is held every spring on a weekend determined about one or two months in advance. This year it was held back on April 28-29 and we had a chance to drive down and check it out. The weather this time around was a bit chilly however the sun was shining and the water temperature was not bad at all. Lucky for everyone because they had a Spark Trixx in the lineup and well let’s face it, you’re pretty much guaranteed to get wet if you want to have fun on the Trixx. The dealers do not necessarily bring out the latest year models, it just depends on their internal inventory levels. 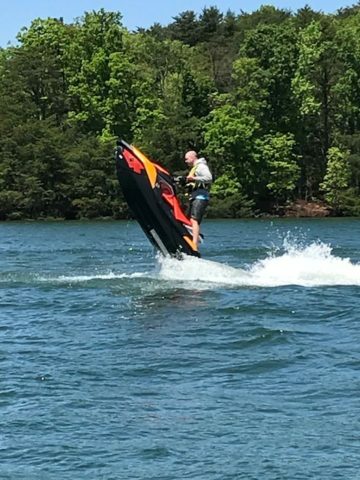 This year Lake Norman Powersports had quite a few leftover skis and chose to bring some 2017 models to the show. The boat show is perfect for anyone looking to buy a new personal watercraft, anyone that might not be sure of what type or model they want, or simply anyone just looking to ride and test out a new unit. According to Lake Norman Powersports, they try to bring a good mix of types and sizes of watercraft. At least one rec-lite model and then some of the larger models which give potential customers the chance to test out different ranges depending on what he or she is interested in. 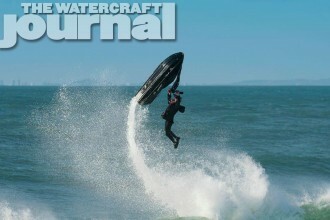 This year as mentioned, we saw a Spark Trixx as well as a Wake Pro 230 and an RXT-X 300. 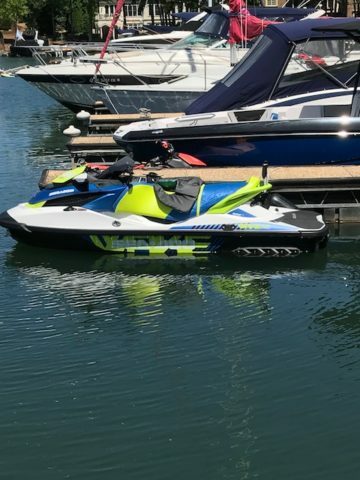 It was a very diversified range and covered all angles from the customer interested in just going out to play around and do water ‘wheelies’ to the customer interested in taking the whole family out to have a fun and relaxing time on the water. 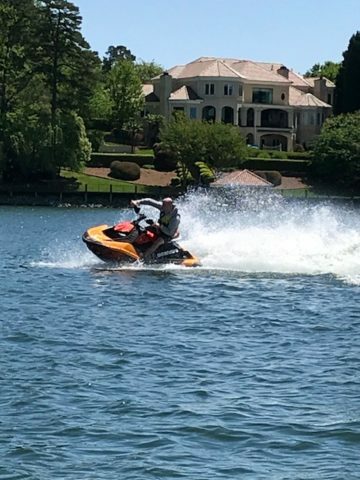 For those who missed the demo rides this year, Lake Norman Powersports always attends this event and offers these public test rides at least once a year so you can expect there will be a next time. Be sure to stay tuned for further details and we definitely can’t wait until the next time around.